CrossFit Open Workout 19.5, the final workout of the 2019 Open is nearly upon us, and in Antwerp, Jonne Koski will take on Lukas Esslinger, Carole Castellani and Siri Rohmesmo at the live announcement. The announcement will take place at CrossFit Silvius Brabo, the Rogue Europe official gym. 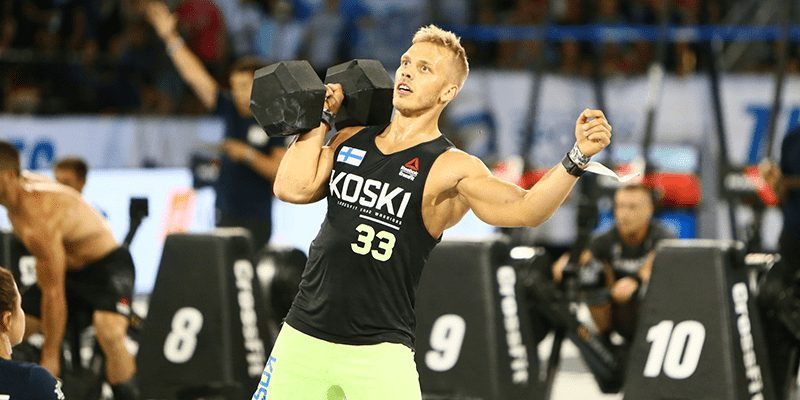 Finnish athlete Jonne Koski is a 4X CrossFit Games athlete, and the 9th fittest man on earth 2015 & 2017. In 2018 he missed the CrossFit Games due to injury but that has only reignited his desire to perform and succeed at the highest level in CrossFit. Earlier this year he won the 3 man competition in WODAPALOOZA, competing with fellow Games athletes Adrian Mundwiler and BK Gudmundsson. Jonne is an excellent swimmer, and regularly wins these events at the Games. He also trained with former Games winner Mikko Salo, and is known for his grit and determination. “Built exclusively for the use of Rogue athletes and employees,Silvius Brabo CrossFit is the official CrossFit affiliate of our European Distribution Center in Antwerp, Belgium. Here, the latest Rogue equipment is put to the test before it reaches wider distribution across the continent. There will be a selection of live announcements taking place all around the world. In Miami, Mat Fraser will take on Tia-Clair Toomey. In Australia, Jessica Coughlin will challenge Khan Porter. In Ireland, Sean Sweeney and Travis Williams will go to war.